I'm Gwen (YourStarla) and It’s an honor for me to guest write for Las Vegas Daze! Diana asked if I would step in to write this one, and I readily agreed. You’ve probably seen pictures of me on this blog, but for those of you who don’t know me, I am one of those psychotic people who goes to Vegas too often. Diana and I met years ago through Tripadvisor and over the years we’ve gotten pretty close and regularly plan trips together. When I heard they were opening Wayne Newton’s house for tours I was on the website buying tickets within milliseconds. It’s not that I’m an insane Wayniac, but I have a rabid fascination with all things Vegas. At home I’m a boring slob in her sweat pants who forgets to brush her hair before she goes to the grocery store. But in Vegas I’m always seeking adventure, and the more Vegasy the better. There’s nothing more Vegasy than Wayne Newton. He is Mr. Las Vegas. Of course he is also in major debt, and desperate times call for desperate measures. And his desperate measures allowed me and Diana to finally get past the golden gates of Casa de Shenandoah. We opted for the Diamond Tour, which was $95 per person. I know that may seem like a hefty price tag, but the tour was about four hours long and gave us a lot of access, so I personally think – and this is a big statement for me to make – it was the best money I’ve ever spent in Vegas. Do you know how much money I’ve spent in Vegas over the years? Let me give you a few guidelines to life. One, if you drive a cab, just drive. Two, if you ask a woman if she’s Roseanne you are guaranteed to either get slapped or have your tip reduced. Diana was classy enough to choose the latter as his punishment and only gave him 18 percent. Note by Diana: I recommend taking Uber and not a taxi to Casa de Shenandoah, LOL! Diana and I arrived at the visitor center across from the estate in about twenty minutes and the cab ride was around thirty bucks. The visitor center is brand spanking new, complete with a gift shop, restroom facilities and a very nice movie theater. 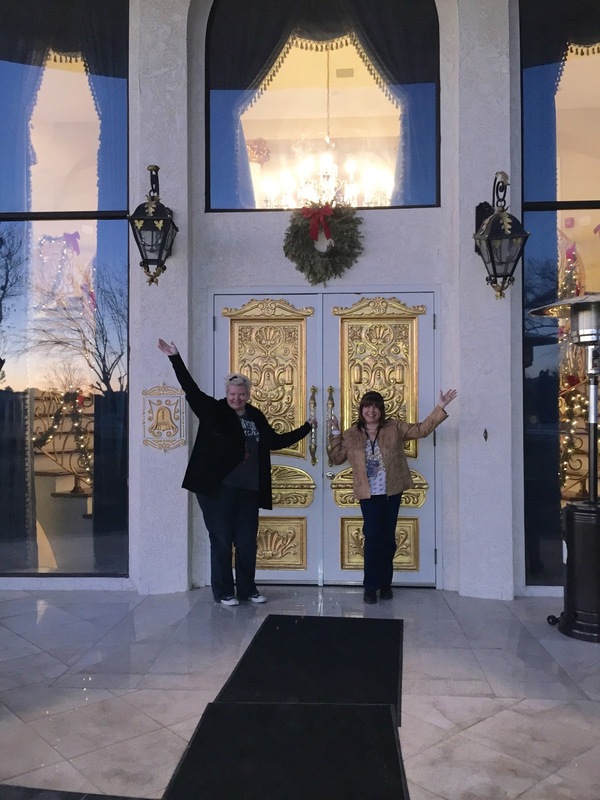 We checked in for our tour and were soon led into the theater to watch a twenty minute movie about Wayne Newton’s life and a little introduction to his home. We had a great tour guide, Steve. He was very laid back and full of fun tales. He led us out onto shuttle buses that took us across the street to the estate. I was so excited to finally get to go through those ornate gates. Every time I fly into McCarran I see his house down there, taunting me. Being able to finally enter was a Vegas dream come true. Our first stop was the guest house on the property, which was the original house. It is where Wayne’s parents lived, and it’s full of untouched amazing retro-fabulous furniture reminiscent of your grandma’s house. It was about this point that I started to realize how many peacocks were roaming freely on the grounds. Full-plumed peacocks were enjoying the sunshine, strolling down the sidewalks and perching on fence posts. Typically I’m terrified of birds, but there’s something majestic about peacocks. Well, until they get too close. Then I take about 48 big steps back. But as long as they were several giant yards away I was happy to share my space with them. Or hide behind Diana as necessary. But back to the horses! We were escorted out to some metal stadium stands and got to sit and watch several of them train. It was so nice to sit outside in the brisk December sunshine and watch the elegant animals gallop and enjoy the day’s exercise. We got to watch three horses take their turn in the ring, and after several days cooped up at the mercy of casino ventilation systems it was nice to just sit outside and breathe fresh air. Everyone kept saying it was cold, but I took my sweater off. The crisp air was refreshing and invigorating. Wayne’s estate is home to many animals actually. Our next stop was his exotic animal area, where we saw a cage full of scary birds, as well as his monkey Boo, the wallabies, the penguins, the swans and, of course, more peacocks. Steve told us they are trying to get some sea otters soon. I love sea otters. That’s reason enough to go back! I should mention that the estate is huge and Steve drove us in the shuttle bus to each stop along the way. It was great because if we didn’t want to lug all of our stuff with us we could just leave it in our dedicated bus. 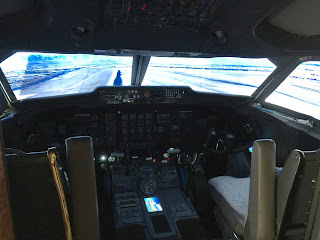 Our next stop was the museum, which included a tour of Wayne’s plane. The plane sat abandoned for quite some time in a hangar, with Newton neglecting to pay the bill, and eventually he was forced to tow the plane to his property, where it sat for quite a long time. Now restored, it is the perfect addition to the tour. We were able to sit in the cockpit and take pictures – actually we were able to take pictures of everything along the way. It really was full access from A to Z. Our guide Steve telling us a story about Wayne sitting here trying to get his band to play games with him. In addition to the plane, the museum housed a lot of his USO memorabilia – Newton has worked with the USO for a really long time entertaining the troops. The museum was also where we got to see items that he held onto in conjunction with his American Indian heritage, important letters written to him from public figures, souvenirs from shows and events, costumes, and his epic garage full of cars. Before we went to the house we made one last stop and went into the stables. Each horse was unique and beautiful and obviously very well cared for. They all seemed so sweet but, again, I had to behave. No touching the horses, Gwen. Keep your hands to yourself. Save your rule breaking for the good stuff. There are 61 Arabian horses on property. The farm known for breeding World Class Arabian horses is named Aramus Arabians after the award winning Arabian horse of the same name and pictured above. So off to the house we went. Outside we were greeted by dancing water fountains – a mini-Bellagio if you will. 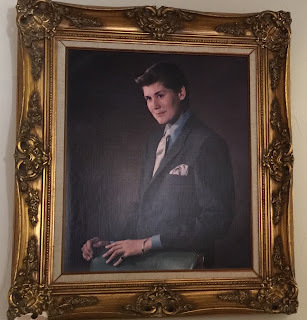 We walked through the columns and past the doors and there it was – the living room where Wayne Newton tried to seduce Mrs. Griswold. I had reached mecca. We had full access to the home, including the Red Room, the wine cellar, his secret panic room, closets, the kitchen, and the master bathroom. Pool table with crystal legs. Office area and model of the house. Entering the secret room off the Billiards room. Downstairs in the wine cellar where celebrities like Lucille Ball would sneak off to during a party. There's a heart shaped pool back there. And there, in the master bathroom, is where I decided it was time to finally the break out of the mold and make my Wayniac mark on the house. Tour guide Steve was very cool, and I did ask permission, but come hell or high water I was going to get a picture of myself either in Wayne’s bed or his tub. I chose the tub. Poor Diana. She can’t take me anywhere. 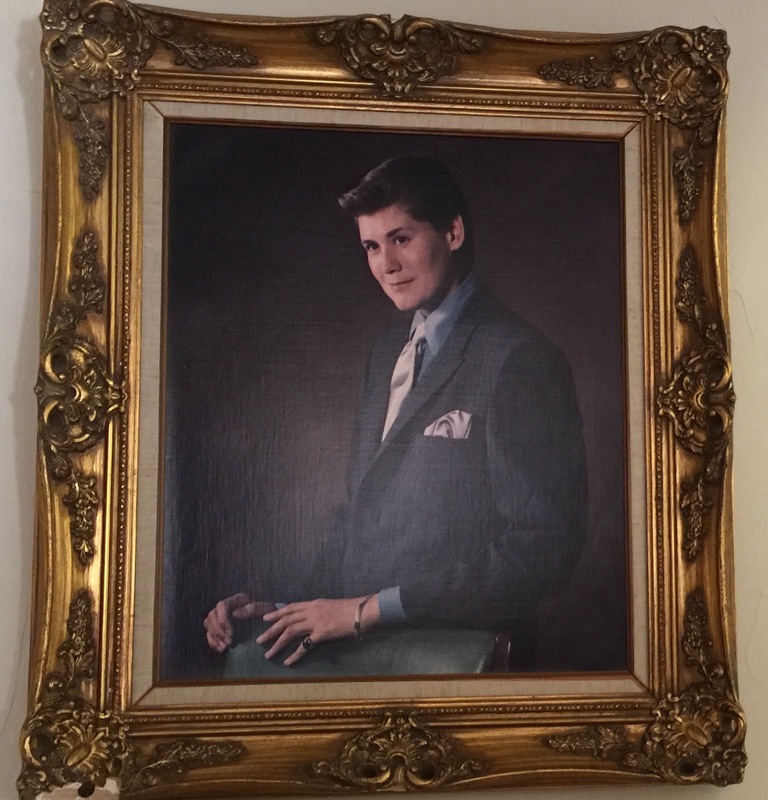 But, yes, you better believe that I hopped into Wayne Newton’s tub and had my picture taken. And for the rock bottom price of $95 you can too. The room that the daughter's nanny used. We shuttled back over to the visitor’s center well after dark, and we were going to call uber to pick us up, but Steve had one last surprise for us. He disappeared for a second and when he returned he told us that one of the shuttle bus drivers was heading toward the Strip and would be happy to take us back. My goodness. That was the last thing we expected. Obviously we tipped Steve, and the shuttle driver as well, but from the moment we got there until the moment we got back to Caesars, we were given such a great experience. So great that I’ve already bought a ticket to go again and take my family. Thanks to Diana for letting me write about our experience, and for being such a great friend! Thanks for reading! 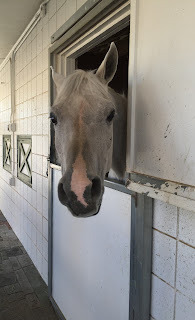 For more information on the various tour packages offered and about the estate and horses go to their official website. For those of you who aren't aware yet most of my prettiest headbands are designed by Gwen. Her store on Esty has some lovely headbands and also some really fun ones like her best seller during Halloween the Medusa Snake headband! Great trip report! I can't wait to take the tour with Gwen in April. Thanks, Diana! Your blog is so entertaining and educational in all things Vegas. I agree about Gwen's talent, too. Thanks MomJovi, so glad you like the blog! I would be happy to have Gwen be a guest writer as many times as she is willing to do it. With any luck perhaps she will share some of her other fun Vegas trips and activities this year here. LOL Mark, I'm saving that for my NYE trip report. Yep, still writing it and hope to have it done by next week. Then I might surprise myself by getting my trip last week up on a more timely basis. LOL Thanks Mark. We didn't want to sully Wayne Newton with the SDGuy headband! Ha! Love Love Love this!!! Thanks for all the wonderful pictures!!! I will be doing this myself and definitely the VIP tour. I'm excited to see the 'flying dutchman' staircases!!! and the horses!! wow I had my on Arabian back in the day and he was a sweetie. I'm not into the type of furniture and furnishings that Wayne is but I'm so excited to go see all the opulence. I'm so glad you are doing the tour, I know you will love it. I'm planning on taking my Mom on it in late April. Deb, thanks for letting Gwen and I know you enjoyed her write up and our photos! Terrific article and pictures. I enjoyed it very much. Hi Lucky Cuss, thanks for letting us know you enjoyed Gwen's write up and our photos. Great read! I can see why you and Diana are friends-same great sense of humor. Looks like a fun tour! This was very informative and another great review. I think we are going to plan to do this on our next trip in April. Thanks again for the information! I'm glad it was helpful and I'm sure you would enjoy it. April is a good month too to go to Vegas. Have lots of fun on your trip. Another great review! This looks like a great tour and I think we are going to plan to do this when we are there in April as well. Thanks again for the information! You're welcome Christi, have fun in Vegas and win lots in April! I recently stumbled on your youtube videos and blog! It makes such a fun read before bed! Love your "Death March" hahaha! I'm going on our annual Vegas trip in March (25-29) and staying at the Wynn. Will you be in Vegas then? Love to meet you! :) PS - I have an obsession with headbands too! All the best and wishing you many hand pays this year! So glad you found my blog and vids and find them fun! Sadly I will just miss you in Vegas as I'll be there starting March 13th for a few days for a friends birthday. Wynn is a great property, I'm sure you will have a blast and I hope you win lots! If you like headbands you will love Gwen's creations! Great job on the detailed report, Gwen! I loved all of the details and pics you included. Even though I was never a huge Wayne Newton fan your report makes it seem like a visit would be well worth it. Thanks! Hi Don, glad you liked Gwen's write up. Great job Gwen.....sounds like a great tour and I will take it next time we are in Vegas!